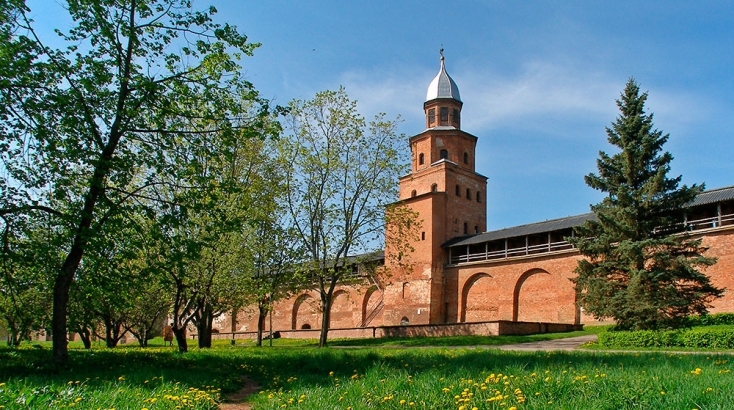 The heart of Veliky Novgorod has always been the Kremlin, or Detinets, as they called it in old times. 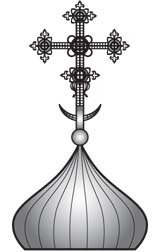 During the 11th – 12th centuries the Kremlin expanded and reached today’s size. Since that time we have giant ramparts, on which at the end of 15th century were built stone walls and towers of Italian standard. The Kremlin wall has a magnificent view of the pedestrian bridge, monuments of Yaroslav's Court, the river Volkhov and the belfry of the St. George Monastery. 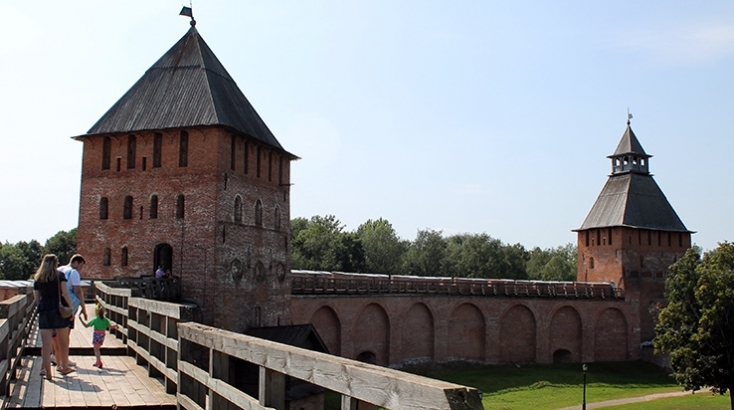 The highest tower of the Kremlin is Kokuy Watch Tower (41 m). 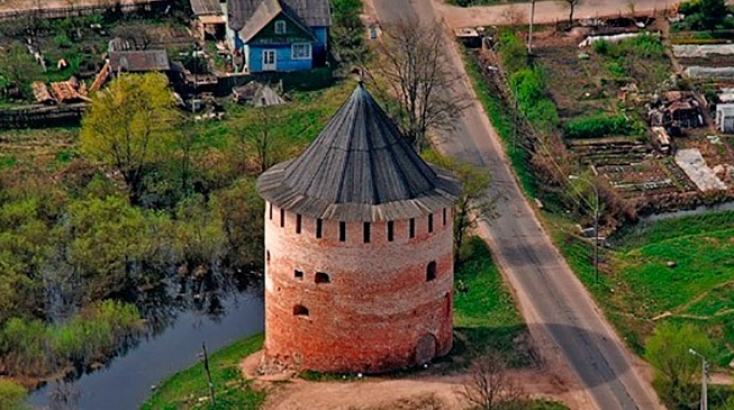 From its top opens a great view on Novgorod lands many kilometers away. 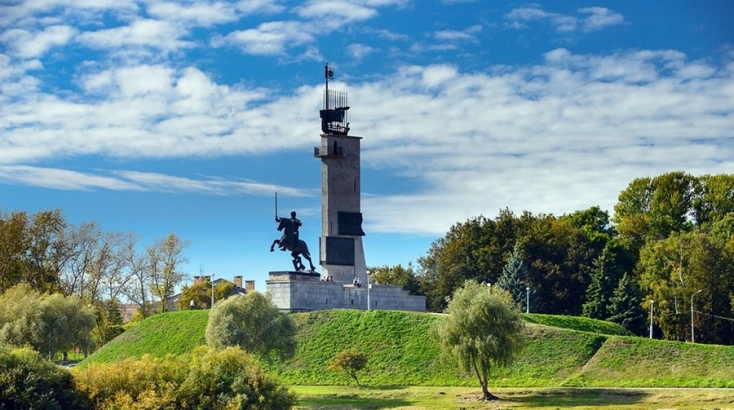 A monument dedicated to Russia’s 1000 year anniversary was commissioned to be built in Novgorod, thus returning focus to the city’s key role in the foundation of the Russian State. 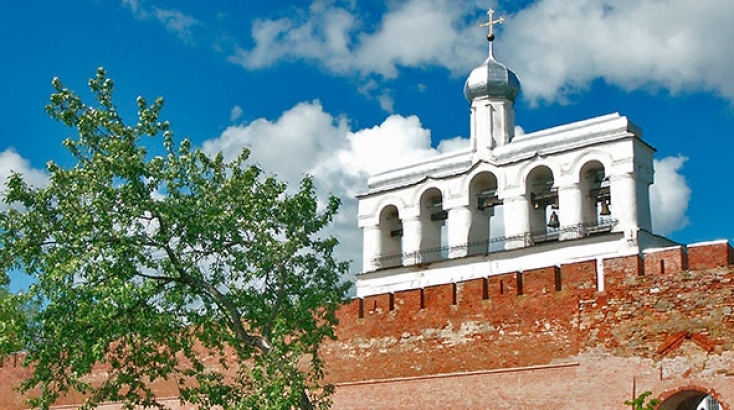 This five-tier construction towers of the Kremlin walls like a white monolith. 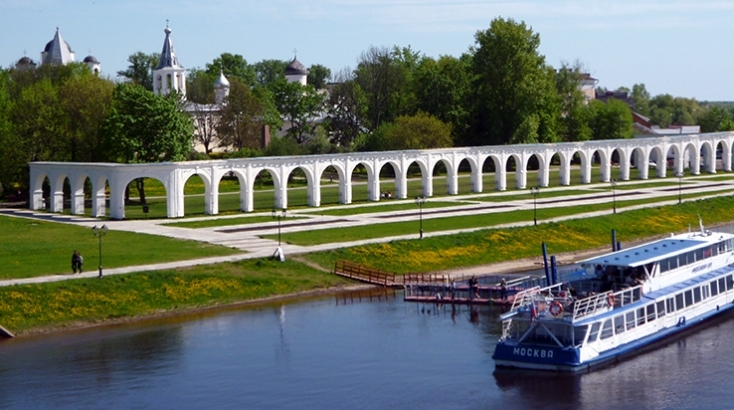 This is an ensemble of valuable 12th – 17th century architectural monuments located on the right bank of the Volkhov River, right opposite the Kremlin. 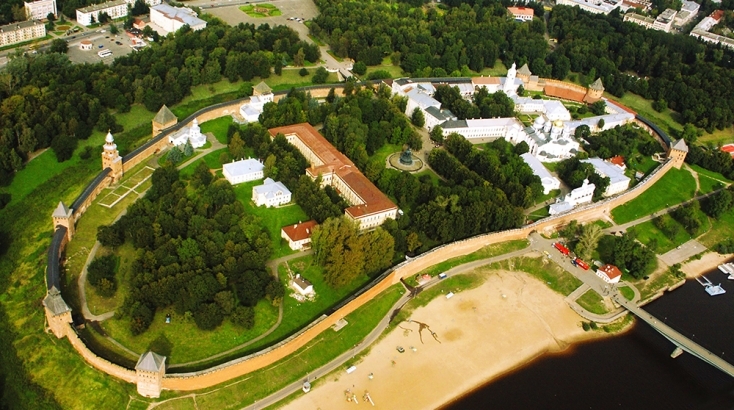 In June 2009 the International Convention on Culture and Economy “The 29th Hanseatic Days of the New Time” was held in Veliky Novgorod. 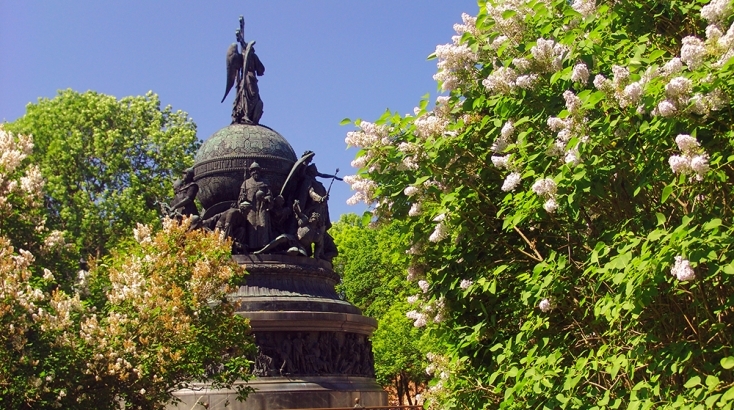 Erected on the Catherine’s hill in remembrance of the victory of the Soviet Union over the fascist invaders. 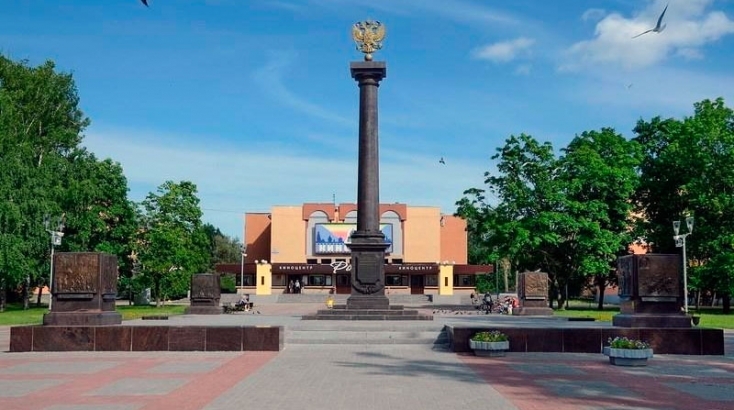 Granite ten-meter column, topped with the emblem of Russia, is placed in the centre of the square, close to the cinema “Rossiya”. 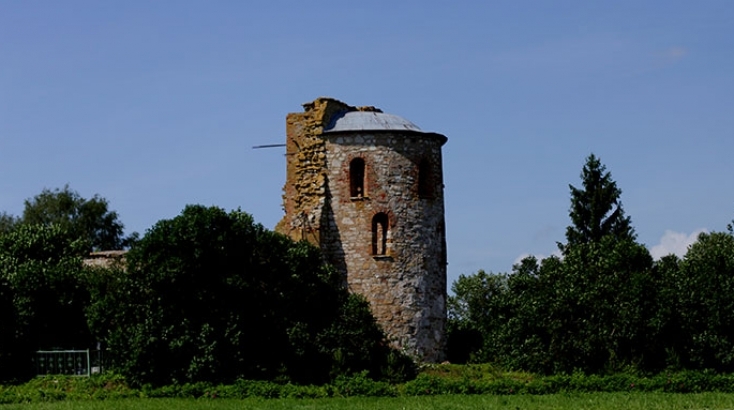 The White (Alekseevskaya) Tower is the only survived stone tower of the city external defensive belt of the late 16th - 17th cc. 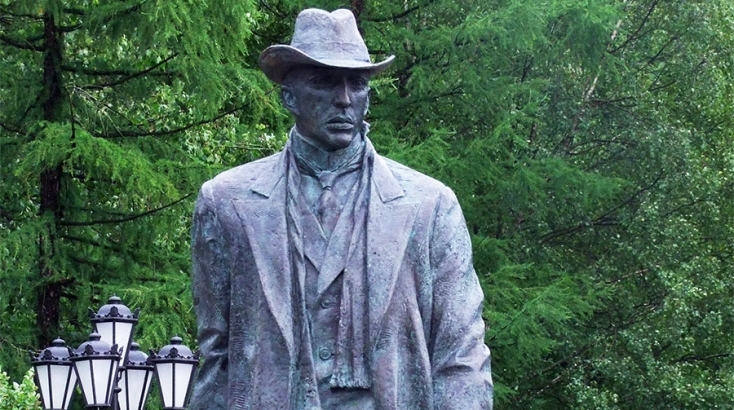 S. Rachmaninoff was one of the greatest musicians of the 19th – 20th cc., whose life was closely connected with the land of Novgorod. 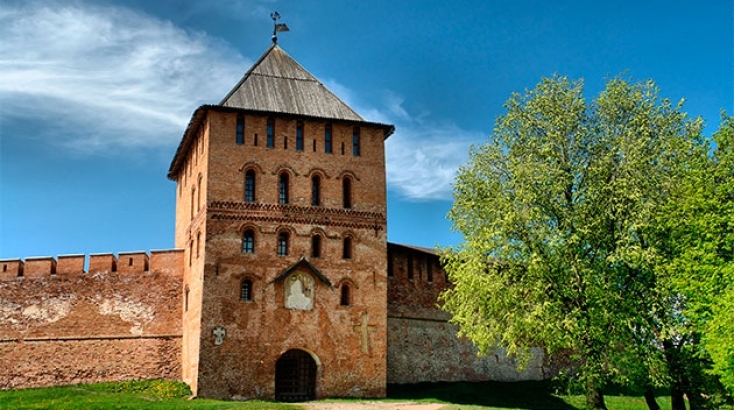 As a fortified settlement of the Viking Age it has been located at the source of the Volkhov River right on the trade route “From the Varangians to the Greeks”. 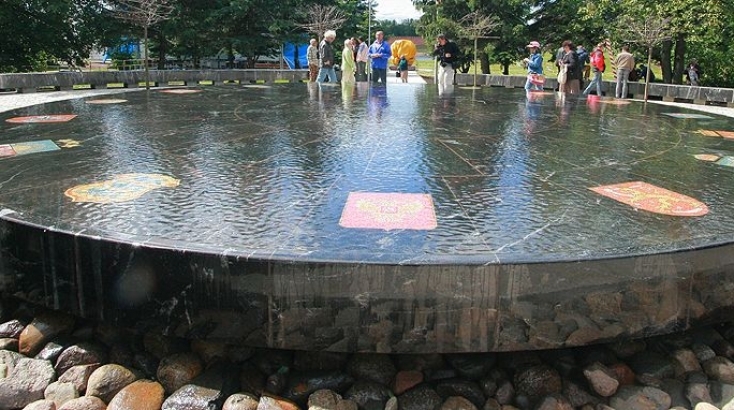 There was a residence of Rurik the Prince who started the first Russian ruling dynasty.